It turns out there’s some truth to Rudyard Kipling’s short story How the Leopard Got His Spots: the rosettes that cover the leopard’s coat camouflage it so that the cat can move and hunt undetected. And this is the case for almost all of the big cats. The patterning on their coats is determined, at least in part, by their surroundings. A recent study by University of Bristol graduate student Will Allen examines the relationship between coat-patterning of big cats and their environments. Building on previous work, Allen relied on mathematical methods to characterize the different types of patterning that appear on thirty-five species of wild cats. He used the reaction-diffusion equation — a model that describes how different substances transform based on their molecular ability or inability to react chemically with each other. Allen manipulated the model to compare coats across five domains: patterned versus plain, pattern irregularity, pattern complexity, pattern element size, and pattern element directionality. He then organized the cats into groups based on the similarities between the patterns on their coats with the computer-generated patterns he created. His results? Cats that shared similar patterning tended to share a similar ecology and behavior. Cats in open spaces were more likely to have simple patterning, while cats living in forested areas had more complex patterns on their coats. Allen also found that behavior impacts these patterns. For example, big cats that spend a lot of time in trees have more complex coat patterns. Other big cats such as lions living in more uniformly-colored spaces like grasslands, camouflage better with simple patterns, while cats in a variety of habitats dependent on trees for cover, like leopards, have patterns that allow them to better blend with those environments. 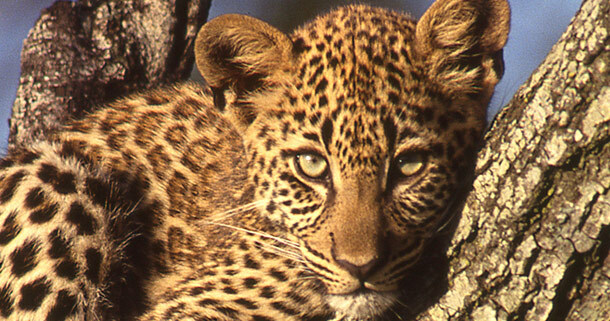 Leopards’ coats are complex because their environment is complex. Another finding the study uncovered was that closely-related species aren’t guaranteed to have similar patterns, suggesting that this trait evolves rapidly due to selective pressure. When two cats closely-linked biologically live in different environments, their coats adjust in potentially different ways to help them better function in each location. Allen’s study reveals a possible mathematical model for linking gene makeup and visible traits. In other words, these coat patterns are not just beautiful, they are an example of mathematical expression in nature.